If there was ever a more revealing moment of Bosnia and Herzegovina’s putrid Dayton Peace Accords lined political stage, it appears to be now. 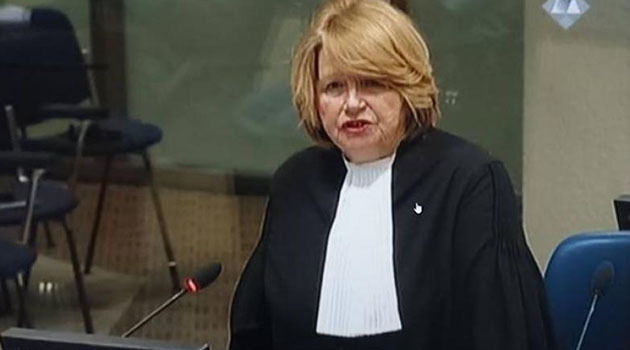 Whether staged, coincidental or not, the current boiling-point political crisis has intensified in the very month of ICTY Appeal Chamber hearing for six Herceg-Bosna Croats convicted for war crimes in 2013. In the whirlpool of the current political crisis in BiH that boils one day and simmers the next, the Croat leaders find themselves forced to balance between the needs of their own kin and the state they ostensibly represent (BiH). Despite their secessionist tendencies, the Serbs in BiH are riding this storm in costumes of some sort of champions of unity in times of twilight. Continuing the twilight zone-themed crisis, the Croats find themselves in an ‘unholy alliance’ with war-time enemy Serbs as they resist increasing Bosniak hegemony. A quarter of a century ago Bosniaks and Croats paraded the streets together, celebrating independence from Yugoslavia, fought against Serb aggressor together only to split into fighting against each other as the Bosniak hunger for supremacy grew vicious against Croats. Twenty-five years later, Croats are estranged in their own lands, Bosniaks are frustrated by their inability to govern despite their majority, while Serbs live on in a country they fought to divide. It commenced on March 20th 2017 and it represents the last and biggest-ever case before the UN International Criminal Tribunal for the Former Yugoslavia (ICTY) Appeals Chamber. The case concerns six high-level leaders of the Bosnian Croat wartime entity Herceg-Bosna and the Croatian Defence Council (HVO). 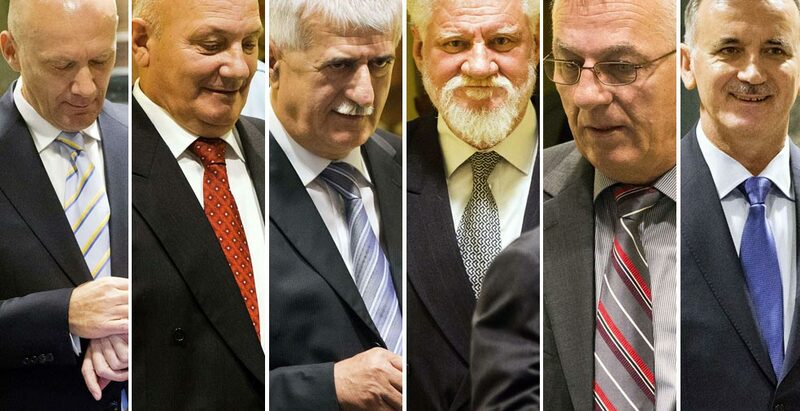 Jadranko Prlić, Bruno Stojić, Slobodan Praljak, Milivoj Petković, Valentin Ćorić and Berislav Pušić were convicted by the Tribunal’s Trial Chamber on 29 May 2013 for crimes against humanity, violations of the laws or customs of war, and grave breaches of the Geneva Conventions committed between 1992 and 1994. The Trial Judgement (appealed), issued on 29 May 2013, comprised over 2,600 pages, including separate and partially dissenting opinions by Judges Jean-Claude Antonetti and Stefan Trechsel. With the appeal hearing now completed the Appeal Chamber judgment is expected November 2017. The judgment is particularly of interest and importance to Croatia as the 2013 Trial Chamber ruled that the “Herceg Bosna Six” (named above), together with Croatia’s leadership (including dr Franjo Tudjman) had participated in a joint criminal enterprise against Bosnian Muslims (Bosniaks) – all as part of some Greater Croatia expansion. The Prlic et al. trial was one of the Tribunal’s largest and most complicated. Trial proceedings began on 26 April 2006. The Prosecution completed its case on 24 January 2008 after presenting the evidence of 249 witnesses, while the Defence cases commenced on 5 May 2008 and closed on 17 May 2010 after presentation of the evidence of 77 witnesses. The total number of trial days amounted to 465, with closing arguments heard between 7 February and 2 March 2011. The Trial Judgement, issued on 29 May 2013, comprises over 2,600 pages, including separate and partially dissenting opinions by Judges Antonetti and Stefan Trechsel. Moving to present day Bosnia and Herzegovina (BiH), whether politically triggered by the ICTY Appeal hearing for the Herceg-Bosna Six, it is of relevance to note long-standing political crisis in BiH had almost reached a boiling point in March 2017, showing a dangerous, politically volatile reappearance of increased tensions between the three constitutional ethnic groups/people (Bosniaks, Croats and Serbs). The Bosniak representative of the tripartite presidency, Bakir Izetbegovic, submitted a request for revision of the ICJ’s (International Court of Justice) ruling on BiH’s suit against Serbia for genocide (which in essence said there was no genocide committed by Serbs in BiH even if, in the same breath, the court ruled that the mass killings in Srebrenica in 1995 constituted genocide), without approval of either the parliament or the Serbian and Croatian presidents. This created a new crisis in BiH that saw the Croat representative on BiH Presidency, Dragan Covic, caught in a crossfire between Bosniaks and Serbs, and faced with resurrected and intensified high-level threats by the Serbian Republic for indictments for war crimes of a number of Croatian generals and military operatives in the 1990’s war, spilling unrest and political fire into Croatia. This current political crisis is preceded by the volatile tensions between Sarajevo (BiH capital and capital of the Federation of BiH but also de jure capital of Serbian Republic) and Banja Luka (where the government of Serbian Republic entity sits) from last year when Serbian Republic unilaterally held a referendum on its own independence day. The BiH Constitutional Court and International High Representative Valentin Inzko declared the referendum a clear constitutional breach; nonetheless, long-standing President of Serbian Republic Milorad Dodik proceeded to celebrate a day that for many citizens of BiH marks the beginning of Serbian aggression on their country. It almost goes without saying, agreement with Izetbegovic’s move for a review of ICJ decision on genocide would tantamount to an act of betrayal in both Bosnia and Herzegovina and in Croatia, where the scars of Serb genocidal aggression have not been forgotten. Support of Izetbegovic’s move for ICJ decision, on the other hand, means that Bosnian and Croat aspirations for political parity would become even pricklier and Bosniak abuse of Croatian rights within the Federation of BiH would head in the way of deeper institutionalisation. The ICTY Appeals Chamber judgment in the Herceg-Bosna Six case to be delivered in November 2017 will have enormous implications not only for BiH, for Croats in BiH and on stability in BiH but also for Croatia itself. Should the Appeal confirm the Trial Chamber finding that Croatian officials, including late president Franjo Tudjman, were members of a joint criminal enterprise, such a judgment would not only bring a stigma pointing to criminality of Croatia’s politics but also grave financial consequences for Croatia – said recently Nika Pinter, defence attorney for General Slobodan Praljak at ICTY Appeal Tribunal. Pinter said that the past twenty years have seen the creation of a picture about Croats breaking up BiH with criminal goals implemented by aggression against BiH and committing crimes against Bosniaks in accordance with premeditated, joint criminal plan of joining part of BiH to Croatia. And the evidence leads to a different conclusion – Pinter insists. Those who are attacked, who defend themselves, cannot have a criminal plan. With disappointment Pinter referred to the fact that Croatia’s political leaders have done nothing to stand up against the lies and twisted facts that have for years been spreading regarding Croatia’s role in the BiH war. 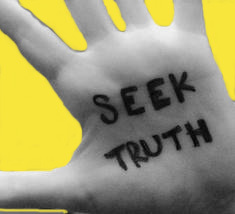 Outside courtrooms no one has made an effort to reply to the false claims and to insist on establishing and pointing out the truth via irrefutable evidence. There have been no arguments to refute the lies said about Croatia, its involvement in the BiH war and the alleged aggression against BiH, but instead, the space was left to the people, led by self-interests, who used half-truths in order to create a negative picture about Croatia – Pinter said, adding that all facts were available for use whether via witness testimonies, war documents, international negotiations documents, peace conferences. The analysis of documents from the peace negotiations, said Pinter, shows the facts that Croats from BiH, along with dr Franjo Tudjman’s participation, which participation was insisted upon by the international representatives and communities, had accepted all proposals for peaceful solutions to the internal organisation of BiH, while Bosniaks, in accordance with their own plan for the creation of civil state “one man – one voice”, in which the constitutionality of the Croatian people would be lost, had rejected those proposals or refused to sign them, or had not acted in accordance with agreements. Mujahedeen had brought in radical Islam and elements of religious war as well as contributing significantly to the idea of attacking existing allies – Croats. To claim that Mujahedeen were a propaganda effort raised by BiH Croats in order to force Croats from Central Bosnia to leave the areas in which they had lived for centuries, even if real danger from them was never a threat, is incomprehensible and unfounded as well as malicious, and regretfully, and the claim has today been disproved. Today, we are witnesses of not only the presence of a radical Islam current in Bosnia and Herzegovina and a judicial war against Croats through the processing of commanders and members of HVO without foundations based on facts for the indictments and without the elements necessary for criminal responsibility. On the other hand, the Army of BiH attacks against HVO and Croats, as well as against the areas in which they lived, and consequences of those attacks have never been processed nor have they been talked about. Massive and horrible crimes. 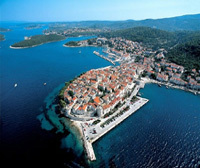 The war conflicts were most fatal for Croats in Bosnia and Herzegovina. Exact data from the 2013 census without a doubt shows that in the war in Bosnia and Herzegovina Croats were the biggest victims, not because of the Herceg-Bosna politics, dr Franjo Tudjman and Gojko Susak, as the “Six” in the Hague, but because of the Yugoslav Peoples Army and offensive operations by the Army of BiH. If Croats are victims, and they are, then the claim that the creation of Herceg-Bosna was directed against the Bosniak people, said Pinter. From Facebook: Ostensibly the most controversial international court trial of Croatian armed forces in our national history. While the NDH (WWII Independent State of Croatia) defense forces have been smeared with the brush of ultranationalism and fascism the recent persecution of the homeland war generals has provided the global community with a prescripted seqeal and a nauseating continuum of legalistic diatribe and political rhetoric supporting the globalist view that Croatia’s fierce efforts for independence, self governance and self defence, past, present or future are necessarily preordained to moral judgment and international judicial prosecution merely on the basis of their effectiveness, diligence, courage, strategy, patriotism and military outcomes. The efforts to deter a repeat of any such patriotic endeavour grow stronger as the EU banking sector CEO’s and global corporate shareholders thrive to extract every last ounce of Croatia’s economic potential while pushing to integrate an ancient Catholic culture with a multifatih, atheistic, socialist and adversely multicultural Balkan region and yes, only for greater financial investment returns and economic control based on debt, taxes and restricted trade markets that made Brexit overwhelmingly popular and our freedom ever more possible. Moreno, your comments make a lot of sense to me. It is really surprising to think of what those financial speculators and bankers from outside Croatia are only really interested in (pure monetary greed above the other people’s wishes and taking in more and more money for themselves). Let’s wait and see what happens in the French presidential election. Should be interesting. Obviously Russia is not overtly trying to overturn the regional order. Instead, its aim is to bolster its alliances (and isn’t it doing WELL though Serbia’s new president Vucic), deter the expansion of Nato and defend its economic interests in the Balkans. But utter regional disorder could still be the outcome. If Russia is cornered by the West over Ukraine, Moscow could trigger a serious regional crisis that embroils the EU and Nato, simply by giving a green light to the Bosnian Serbs. A domino effect would then take hold. The departure of the Republika Srpska would open up the question of Serbia’s borders and encourage Kosovo’s Serbs to separate themselves completely from their country’s Albanian population. Newly elected president of Serbia Aleksandar Vucic has made it clear in no uncertain terms that he will push for Serbia to become member of EU only if Serbia can retain its friendship with Russia, Robertryan – your mind works laterally in relevant ways. As allways a well written & balanced article. A country held together by force is no country at all . That we still sit there and accept this fate is most baffling. BiH is a failed state. The majority of its people have no desire to retain it. But democracy doesn’t apply in this case because it doesn’t suit international interests.